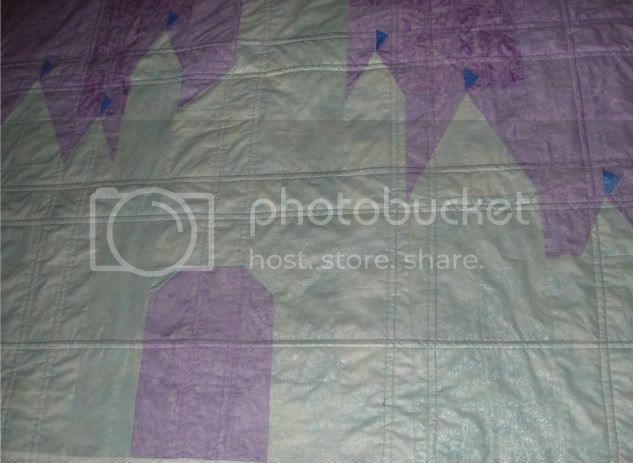 I finished quilting Cinderella this afternoon, after pin-basting it twice. Do check and make sure you don't pin one side upside down. This is the largest thing I've quilted - yeah, 60x75" is huge. :) At least, if you have to sit under the kitchen table to pin-baste, it's huge. I was worried about it because the two sides are very close in size. I was right to worry. Oops. Luckily it was only that side, and I trimmed about a half inch off the other side, and it looks fairly even. Only one prairie point flag was an issue, thank goodness. I need to put on the regular foot to get closer, but that's the only place I need to do clean-up. I think the double lines (on the edges of the "scenes" on the other side) look pretty nice on the castle. 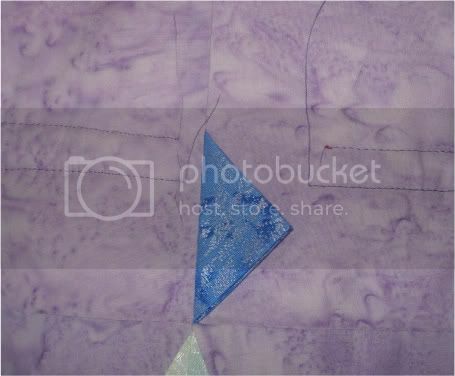 I have lots of leftover purple Fairy Frost, so that will be the binding. 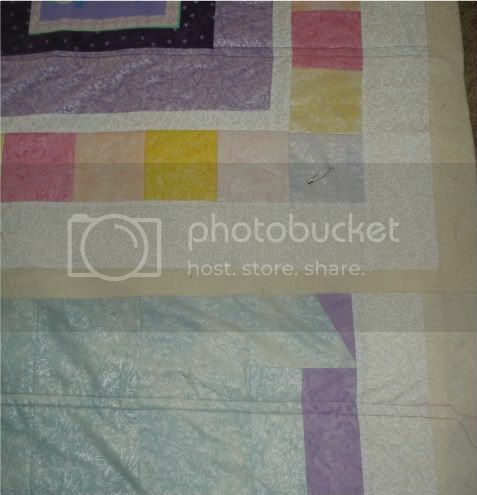 Because if there's one thing this quilt is lacking, it's purple. And Fairy Frost.